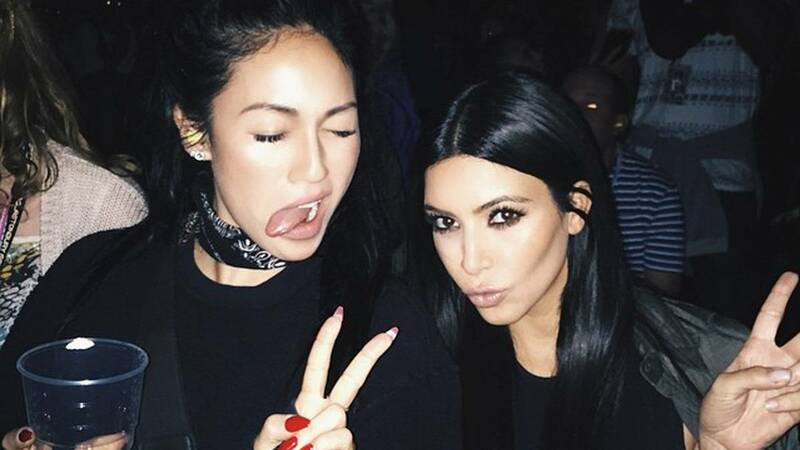 Did Kim Kardashian's Former Assistant Just Shade Her On IG? Kim Kardashian and her former assistant Stephanie Shepherd used to be as thick as thieves. Stephanie—who started working for Kim in 2013—was close to the whole family, and even regularly went on holiday with Kim and her sisters. So what happened—why did Kim allegedly fire her? Well, whatever the reason, it apparently hasn't gone down well with Stephanie. Which is fair. Stephanie posted a rather cryptic message on her Instagram Story, which fans believe is her way of throwing shade at Kim. The post reads, "Self-care isn't always lush bath bombs & $20 face masks. Sometimes, it's going to bed @ 8pm or letting go of a bad friend. It's forgiving yourself for not meeting your impossible standards & understanding you are worth it. 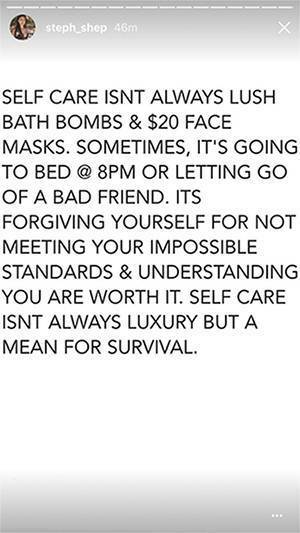 Self-care isn't always luxury but a mean for survival." Going back to the recent reports that Kim has cut ties with Stephanie, a source told People that the formerly-inseparable pair "aren't really speaking" anymore. "Kim made a decision to let Stephanie go. She was a good assistant but when Stephanie wanted to transition into a larger role with Kim's brand and businesses, it just didn't work. Kim gave her the chance but after a short period of time, it became clear that Stephanie just didn't have the knowledge to take on a role like that. Kim made an executive decision to part ways." Maybe it all kicked off when Kourtney Kardashian told Kim that Stephanie was unfulfilled in her job during a recent episode of Keeping Up With The Kardashians? Kim responded, "But I do think it's like inappropriate for her to talk to you and not to me. I mean don't you think that's like a little bit unprofessional?"